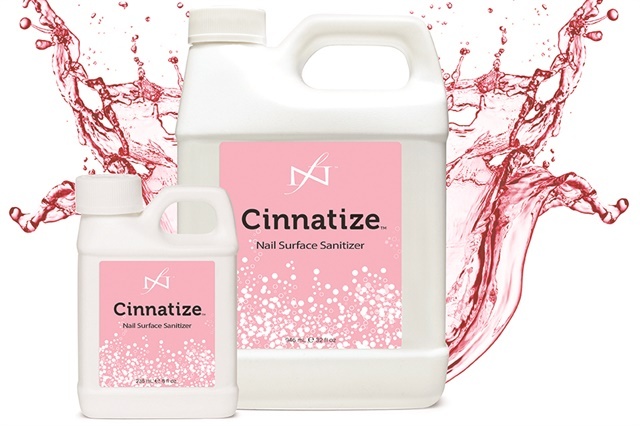 Cinnatize Nail Surface Sanitizer features cinnamon leaf extract to prepare the nail plate for treatment. The blend of cleansers and other ingredients cleans off oils, leaving a prefect base that adheres to nail polish. For more information, visit Cinnatize.